Gabrielle is one of the most successful British singer-songwriters. She's sold over 5 million records in the UK alone and scored two No.1 singles, 10 Top 10 singles, a No.1 album and four Top 10 albums. 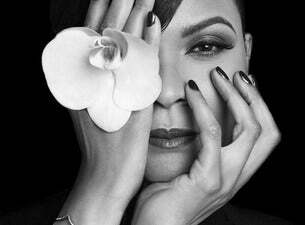 Gabrielle is also a two-time BRIT Award winner, receiving the Best British Breakthrough Act in 1994 and the Best British Female Solo Artist in 1997. She's also won various MOBO Awards and an Ivor Novello for Outstanding Song Collection. And now the multi million-selling, chart-topping, award-winning superstar is back on tour. This year she's not only released her new album, Under My Skin, but she's also joined Rick Astley on his mammoth UK tour as well as announced headline shows of her own.